So I'm on a mission to try every single pair of compression socks on earth. 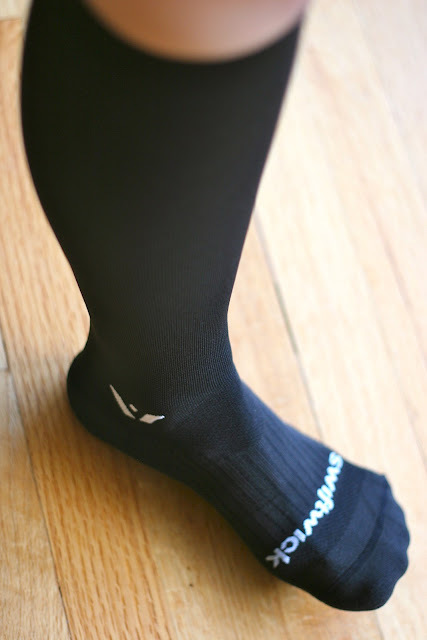 Somewhere in my interweb perusals, I found a link to Swiftwick. They were having a free gear contest, and well, I'm definitely into that. When I contacted them about winning the free gear, they offered to send me a pair of the Swiftwick Twelves to test. I was game, especially since I got blisters with the compression socks I wore at my most recent half marathon. Not baby blisters, serious cover-the-entire-underside-of-my-toe blisters. Not cool. My skin normally is not very sensitive, and I don't blister often. So I was sad that they crept up in the middle of a race and caused pain that may have slowed me down (at least it gives me something to blame for any slow times). The Swiftwick Twelves came in the mail only a few days after the blisters arrived, and I was excited to test them on recovering blisters. I figured if the socks were really good, my blisters would be like Jessica Simpson and fail at the comeback. The first thing I noticed about them is that they don't feel like other compression socks I own. The top of the socks has a tiny honeycomb type of pattern in the weave versus the usual vertical striping of my other socks. The foot of the sock almost feels more cottony than nylon. Is that the magic of olefin? From the Swiftwick site, here's the deal with olefin. Olefin is a polymer synthetic fiber. It is manufactured under several different names, including some very well known such as Tyvek® by DuPont®, Thinsulate® by 3M® and Duraguard® by Kimberly-Clark®. There are several benefits of olefin. It is very tough and hard wearing, colorfast and stain resistant. The lightweight material dries quickly and wicks sweat and water from the skin. Materials made with olefin hold its shape extremely well, making it good for active use. 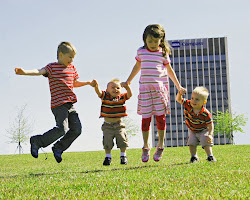 Olefin is also highly resistant to deterioration from chemicals, perspiration, mildew and moisture. Olefin is environmentally “friendly” due to the few byproducts produced during manufacturing. Olefin is also easily recycled. The retail price for a pair of these is $34.99, cheaper than other similar products I have tried. Pro Compression retails for $50, though you can often find them on sale. CEP retails for $59.95. I also love that these socks are made in the USA. They manufacture all of their socks in Tennessee, and of course I am thrilled to have such a great sock company as my Southern neighbor. On to the socks! When I pulled them out of their package, they looked like the sock on the right. They slipped onto my foot easily, and stretching them up from the ankle to my knee was easy as well. No flipping them inside out or struggling to cram my foot inside. I talked to a runner this weekend who said he struggled to put them on, but he must not have tried CEP socks first. The difficulty is relative. Compared to your everyday socks, more difficult, but compared to CEP, cake walk. I'm 5'2" and wear a size 7 shoe (7.5 in running shoes), and I tested the size small. They fit perfectly, and I wouldn't want to go up or down a size. The sizing of their socks is based on your shoe size, so it's easy to find the right one. No tape measures required. The top of the socks hit just below my knee with no pinching or causing overhang around the top of the sock. For me, the height of these socks was perfect, no folding or adjusting down of the socks so that they bunch at the ankles. You short runners know what I mean. Here are pictures from every angle from which your heart could desire to see these socks. Yes, I am spreading my toes in this one. To test compression in the foot bed, Swiftwick uses a new three point compression test method developed by the Manufacturing Solutions Center in Hickory NC (formerly known as the "Hosiery Technology Center"). This testing discipline was created at the request of Swiftwick, the only company in America exclusively manufacturing moisture wicking, linked toe compression socks at 200 needles in both a synthetic and natural merino wool fibers. Swiftwick customers are measured and tested athletes. Our socks are measured and independently tested too, by as many as three different laboratories. 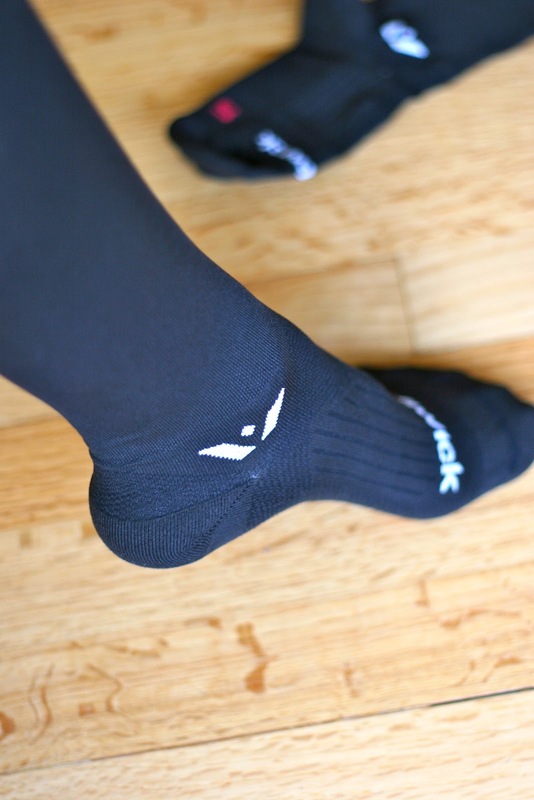 Swiftwick has developed and introduced the Managed Compression concept. While other sock guys focus on the region from your ankle to the knee, Swiftwick addresses the entire foot bed first and delivers a targeted compression value where it matters most. The feet feel very comfortable from the time I put the socks on until I take them off. They compress but breathe at the same time, and they are thin which is absolutely imperative for a performance sock for me. My first test for these socks was a 10-mile training run, just a handful of days after the horrible blisters cropped up from my half marathon. These socks not only kept my calves feeling great, but the blisters did not reappear. Thinking that maybe it was just a coincidence, I threw the socks in the wash (I used cold water, Tide, and air drying) in time for my 18 miler that weekend. Still no more blistering or agitating of previous blisters. Also on that 18 miler, my brother made fun of me because I sounded like a commercial the whole time we ran. "These socks feel so great. They are like an air conditioner on my legs. You should really try these socks. Did you know they're made in Tennessee?" But seriously, my legs never got hot, and they felt cooler than the rest of my body even though I had on knee-high socks. I'm not really sure, but I think the honeycomb pattern from the ankle up is made by magic elves from the north pole. 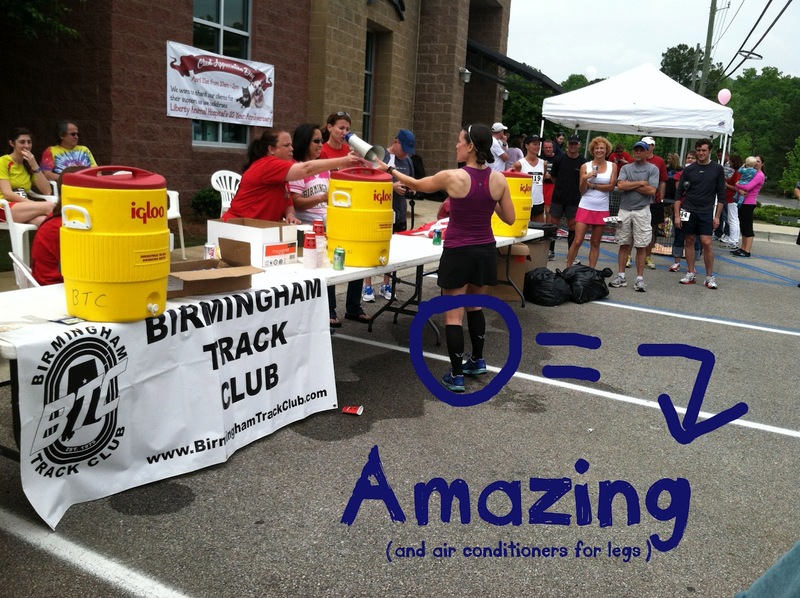 That's the only logical explanation for why my legs felt so cool while running 18 miles. But really, I need answers from Swiftwick. Does the honeycomb pattern increase air circulation? Is it the olefin? Is it tiny elves? Are you magicians? The feeling of air flow on my legs was amazing. Whatever the explanation, I'm taking it. Of course, now that my feet have been blister-free in long runs with Swiftwick, I am not going to be able to race in anything else. I wore them for my first-place (in age group) finish at the Statue to Statue 15K this weekend. No blisters, even with the hellacious downhills that jammed my feet so hard they are still sore two days later. Sore but dry and blister free. You can spot my Swiftwick wings (that's what I call their logo) while I pick up my first place ribbon. 1. They guarantee their product. If they aren't the best socks you've worn, they will replace them with any sock of any brand you choose. 2. They're determined to keep their production in the USA, and more specifically, they're made in the Tennessee. The more amazingness we can keep in the South the better. 3. Their team seems really cool, and I want their kids to hang out with my kids. 4. They make a product for pretty much any activity you do. Not that there is anything more important than running, but just in case. Also, I didn't see a karaoke sock, and I get really nervous and sweaty when I do that. Something to think about, Swiftwick. 5. You get bonuses for referring friends and spending loads of money. The more you save on socks, the more races you can enter. 6. They will be at the Country Music Marathon expo this weekend. And in summary (in case you skipped to the end), these socks kill/repel blisters and get the air flowing to your calves and feet while compressing. I would wear them every day if I was faster at washing clothes. Check this Swiftwick dealer locator to see if they are sold near you, or you can check them out online. 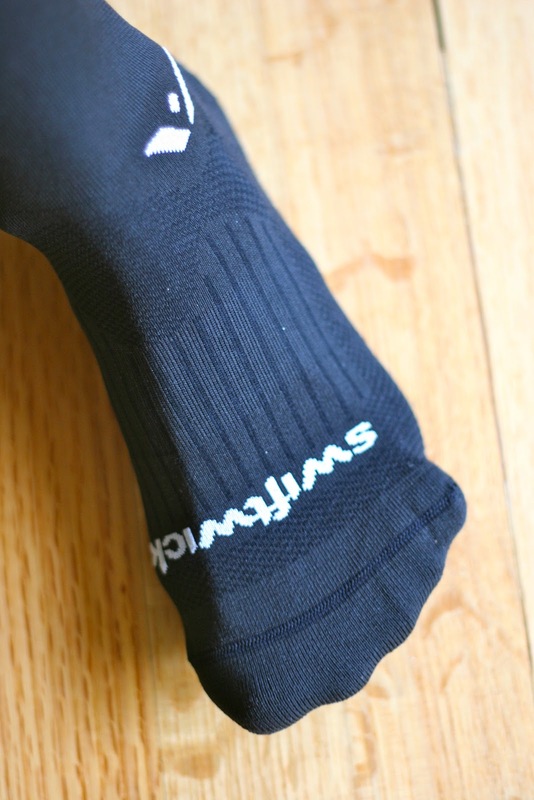 Swiftwick provided these socks free of charge for review. 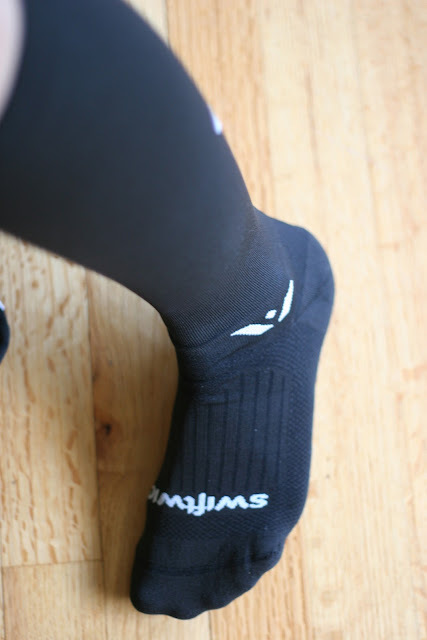 I received no additional compensation from Swiftwick, and all thoughts and opinions are my own. I bought TWO pair of Swiftwicks this weekend! I love them!!! I actually wore a pair to work today, because they feel so good to my tired, overstrained legs! Did you buy yours online or in store? Just wondering if there are some good deals to be had out there. Not sure where you are, but if you have a Fleet Feet store they will periodically run sales where if you buy 3 pairs you get 1 free. I love these socks, I can't wear anything else now because nothing compares! "Overtrained" legs, I meant. Dang, autocorrect! LOL!!! I run long in regular swiftwick socks...love them!!!! Where do you get yours? Just curious if you have a favorite place around town. Might have to give these a try. They look more reasonably priced than other socks. Thanks for the review. These sound like great compression socks! I will be sure to swing by their booth this weekend at the Country Music Half Expo. Good luck this weekend! We probably won't see each other in the sea of people, but I'll be rooting for you! Awesome review! I am LOVING compression lately its so comfortable. I've never heard of that brand before, and definitely might give them a try! Ooooh, I love compression socks, especially those that are cheaper than $50!!!!!! It's good that they're not too long, but for a tall gal like me they might only come mid-calf, haha. Thanks for the review! I wondered about how they would fit the taller set. I even googled it, but I couldn't find any tall person comments. Wish I could extend my legs and test it for you! I only wear compression socks after my longs, never during. Might try it out on my next half this June. I only run in compression socks whe it is really cold out...because they heat up my legs! You live in the South, you know! But air conditioned socks...hmm. True, I do that in the winter too! It's been so hot that all I can think about lately is getting cooled off. One track mind. That's a solid review. Thanks. I've only worn compression socks for post-run recovery. I might have to try a pair to run in, I'm seeing more and more runners rockin compression socks during runs/races. I wore them in my first marathon, and now I don't want to go back to ankle socks for the longer distances. Every little bit helps when all that pounding on concrete is going down. I'm so picky about socks. I hate if I can feel the seam even the least bit! Agreed! If I think about it while running (like when you feel something is off, like a seam), then it's not the right sock. I think I'm going to need those in PINK! They better have it.. lol. Checking! Pink and orange would be awesome! I think the colors are pretty basic right now (black, white), but maybe they take requests. I saw some cool ones with green stripes at the top recently, in their Vision section online. Love the socks and I just wanted to say HAPPY BIRTHDAY TWINS!!!!!!!! They sound pretty awesome! And short-person friendly. I have so many freaking compression socks, but looks like I might have to give these a try if I ever buy another pair. Thanks for all the great information. I got my first pair of compression socks from a friend who went to the US Olympics Trial in Oregon this summer. He bought me back a pair of Swiftwick. I am training for the NYC marathon and just started to have some soreness in my right calf. These socks have come in handy though I haven't run in them yet. Just used them afterwards- after reading your review, I am going to try them out on a run. I live in Florida so it is hot and muggy so it is good to hear that the socks breath well. I am also short (5'2") and they do fit great. Can't wait to try them out tomorrow on my run! Would you stop to help?